Dr. Réne Lecuona has been praised by critics in Germany, the UK, and the US for her chamber music interpretations and solo performances: “The imagery of the music is perfectly conveyed by Vogel and Lecuona in an inspired performance… this is chamber music at its best” (www.klassik.com); “As throughout the entire album, Lecuona’s performance is magnificent…” (David Murray: Bass World); “Lecuona’s interpretation of Mozart was outstanding…” (Daily Iowan). Dr. Lecuona has performed throughout South America, Mexico, the Caribbean, and the United States. She made her Carnegie Hall debut in Weill Recital Hall with mezzo-soprano Katherine Eberle and in the Goodman Hall at Lincoln Center with soprano Rachel Joselson. Her playing has been featured on many compact discs, including a recording of the music of Margaret Brouwer (CRI label), which won the 2000 Contemporary Art Music Burton Award. She may be heard on Centaur Records, Innova Recordings, Capstone Records, Cybele Recording, Albany Records, and Composers Recordings International. Dr. Lecuona is professor of piano at The University of Iowa. A devoted teacher, Réne has prepared students for admission and scholarship in performance programs at prestigious institutions such as the New England Conservatory, the University of Michigan, Florida State University, the Manhattan School of Music, the Eastman School of Music, Northwestern University, Peabody Conservatory, and Aspen Music Festival. Her former students hold teaching posts in Germany and Brazil as well as in the U.S.
Réne Lecuona earned a doctor of musical arts degree in piano performance and was awarded a performer’s certificate at the Eastman School of Music. She received undergraduate and master's degrees at the Indiana University School of Music. Her major teachers have included Menahem Pressler of the Beaux Arts Trio, the late György Sebök, Edward Auer, Shigeo Neriki, and Rebecca Penneys. 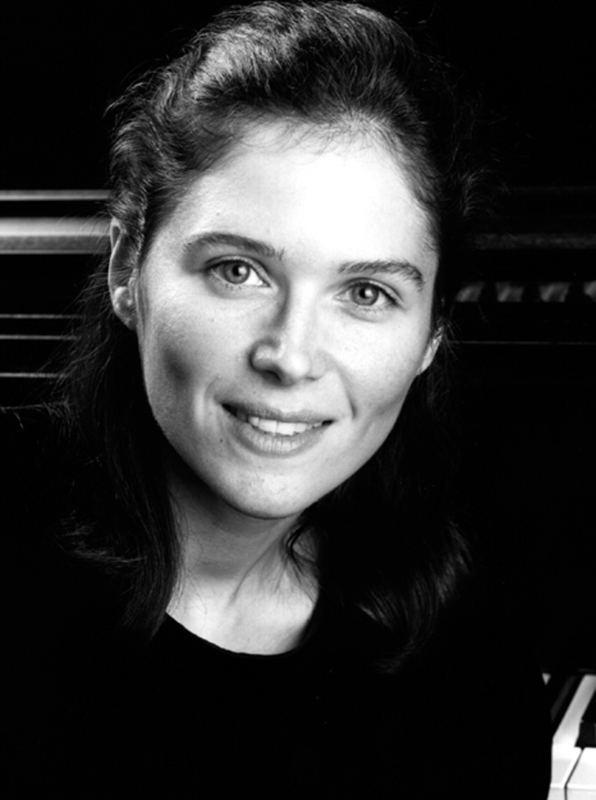 Réne was raised in Corning, New York and studied piano for many years with Laurie Conrad of Ithaca, New York. She lives in Coralville, Iowa with her husband Andrew and their son Sebastian.